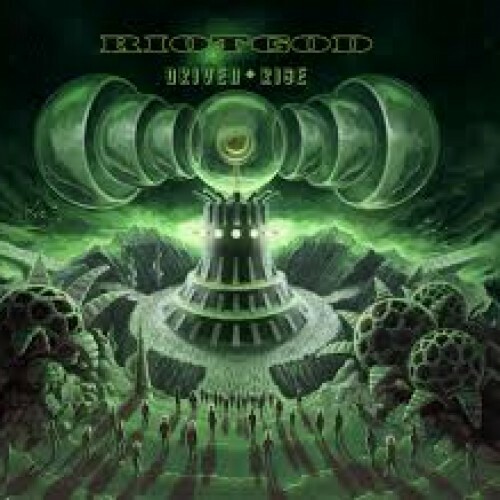 Driven Rise is already the third album from (stoner)rock band Riotgod. Their first album made a very good impression on me, but the follow up, Invisible Empire, never made it to Metalrage and it got unfortunately lost in the sea of releases. Luckily their third effort didn’t pass my attention this time. For those who don’t know who Riotgod is, it’s a (stoner)rock formation with big names like Bob Pantella and Gary Sweeny (both Monster Magnet) in their ranks. Where their debut still had some Monster Magnet influences on Driven Rise these influences aren’t as prominent anymore. Riotgod has a more grungy like sound adopted. As a big lover of nineties grunge music, this is certainly not a bad thing in my book. Especially the Alice In Chains influences are there. The excellent song ‘Davos’ is a good example of this. Vocals with a layer of torment combined with some choirs makes this one of the better songs of the album. Not only ‘Davos’ has these influences, ‘Prime Moment’ has some resemblances with Mad Season. In the less heavier songs also a band like Candlebox is peeking around the corner. The variety on this album is considerable, but without making the album loose it’s consistency and that’s very remarkable. Despite the wide variety, you still know that you’re listening to a Riotgod album. Really well done. Driven Rise is an entertaining album. It contains a nice groove, songs with addictive hooks, excellent vocals of Sunshine and an above average knack of writing good songs. Not every song is as memorable (‘Grenade And Pin’ is a real dud and shouldn’t have found it’s way on the album), but if you’re looking for a solid heavy rock album to add to your collection you won’t go wrong with this one. Not a must have or a classic, but certainly an album that you will spin a few times a year.